Home "Station Platform" Building Kit. 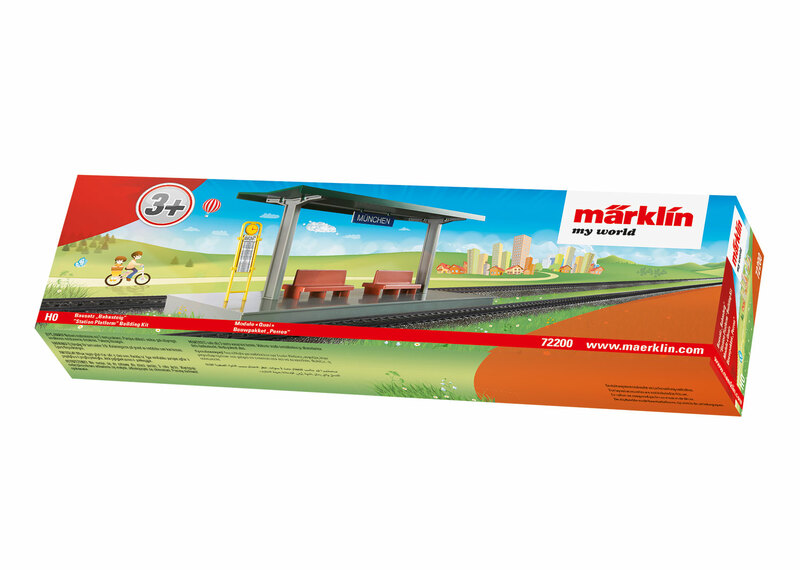 The sheet of adhesive stickers with different names of cities and blank stickers included with this station platform allows you to make it the station platform for your own town. A building kit consisting of a few snap-together parts – ideal for children ages 3 and above. This snap-together building kit is made of sturdy plastic. The station platform can be assembled from a few parts, is easy as child's play to put together, and is therefore suitable for children ages 3 and above. A sheet of adhesive stickers with different names of cities as well as blank stickers are included. Instructions for assembly are included. 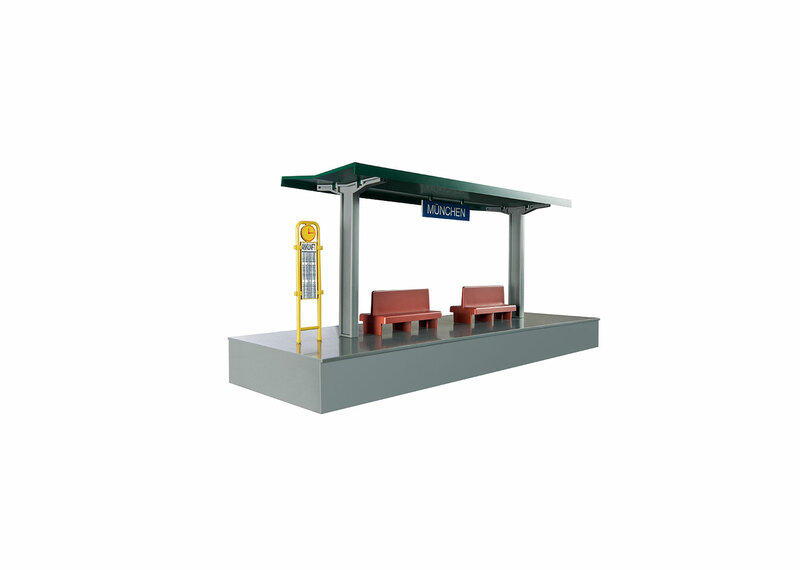 This station platform is the ideal add-on for the battery-operated trains, item nos. 29200, 29201, 29202, 29203, 29204, 29206, 29210 and 29270.